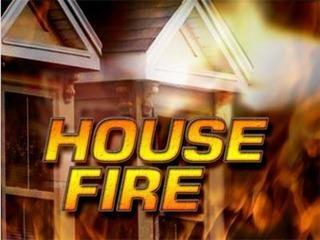 WELLS TOWNSHIP, MI-- A home in Escanaba has been damaged by fire. Public Safety officers were dispatched just before noon Tuesday to 3343 US-2 & 41 in Wells Township and saw flames coming from the second-story window. Firefighters were able to bring the blaze under control with help from the Ford River Township Fire Department and compressed air foam. Officers were on the scene for about two hours. Fire damage was kept to the second floor. Five family members were able to escape the house without injury. Officials believe the fire may have started when a box fan overheated in an upstairs bedroom.